Two National Records set at 6th BFA Great Northern Freediving Competition by Georgina Miller & John Moorcroft! Thursday 26th March 2015; -- This weekend, Saturday 21 and Sunday 22 March saw the 6th Great Northern International and the BFA UK National Pool Championships, organised by Steve Millard of www.freedivers.co.uk at Lifestyle Fitness Aquatic Centre in Liverpool. The Great Northern never disappoints in terms of performance and this year was no different. Living up to the International bit of the title, fourteen countries were represented, with one athlete, from team USA, Mandy Sumner flying in from Hawaii the night before the competition! Keeping to tradition, national records were set, this year two British, over the course of the weekend. 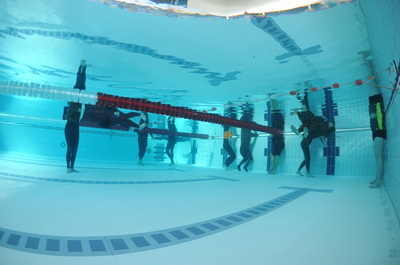 On day one, John Moorcroft, the first diver of the day, kick started the competition with a record in dynamic no fins of 176m and on day two, Georgina Miller set her record in static with 6 minutes and 33 seconds. John swam just over 7 lengths of a 25m pool on one breath with no fins, smashing his previous record of 167m, set at last year in the Manchester competition. 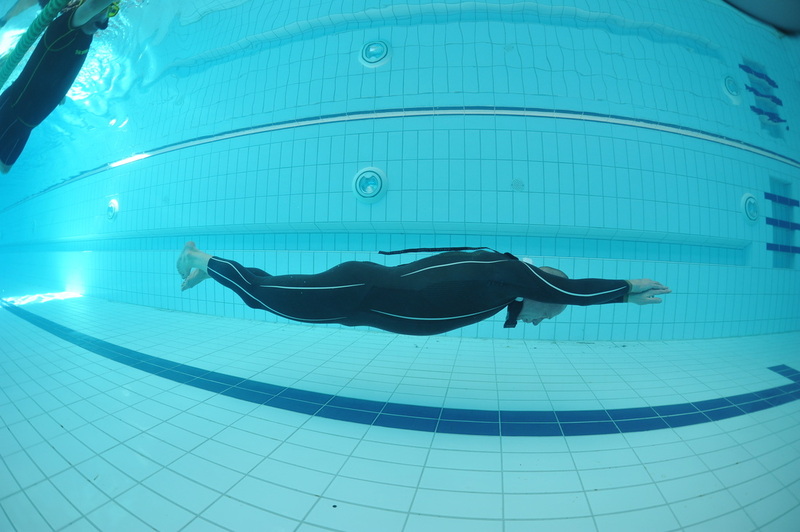 Georgina Miller’s previous record was 6 minutes and 27 seconds set in 2014 at the 7th Mediterranean Freediving World Cup, pushing it a further 6 seconds away. The UK male winner was Dan Betts with three strong performances, white cards and big smile at the end: 115m DNF, 05:39 STA and 151 DYN. Coming in second for the Brits was Josh Walton of Bristol Freedivers and in third Jason Kirkpatrick from the Glasgow Apneists UK group. In first place for International male the Mighty Matej Bergoc in second Stephan Heiss and in third David Fournier. The UK female winner was Beci Ryan with 135m DNF, 05:12 STA and 150 DYN, in second Georgina Miller and in third Lucelle Simms. And Masa Sorn of Slovenia, training with Apneists UK Yorkshire group, came in second place for International female with three strong performances across the board (104 DNF, 04:46 STA, 150 DYN). The winners of the Newbie Awards were Jason Kirkpatrick (05:17 STA) and Alison Hicks (151 DYN), with already impressively big holds and swims and a lot of promise for the future. Rumor has it that both athletes look set to join the UK Team at the Pool World Championships in Serbia! The organiser Steve Millard (www.learn2freedive.com ), and athletes, would like to thank the sponsors for their support with such generous top freediving prizes. The official kit sponsors were: Aqua Sphere (www.aquasphereswim.com/uk/) and Aqua Lung (www.aqualung.com/uk/), with sponsorship also coming from Fins4u (www.fins4u.com), Tidy Tide (www.free-water.org), and the British Freediving Association (www.britishfreediving.org).